Typically, when we go to the doctor, we are concerned only for ourselves and what ails us at that moment. Rarely do we see the compassionate man or woman in the white lab coat as a person; instead, we see the “mechanic” who is there to fix us. Doctors listen to our complaints, take note of our physical presentation and expertly decide on a course of action that will set us on the path to wellness. Oftentimes, unfortunately, there are no textbook answers to our problems and that is where experience, research, passion, and a desire to heal come into play. 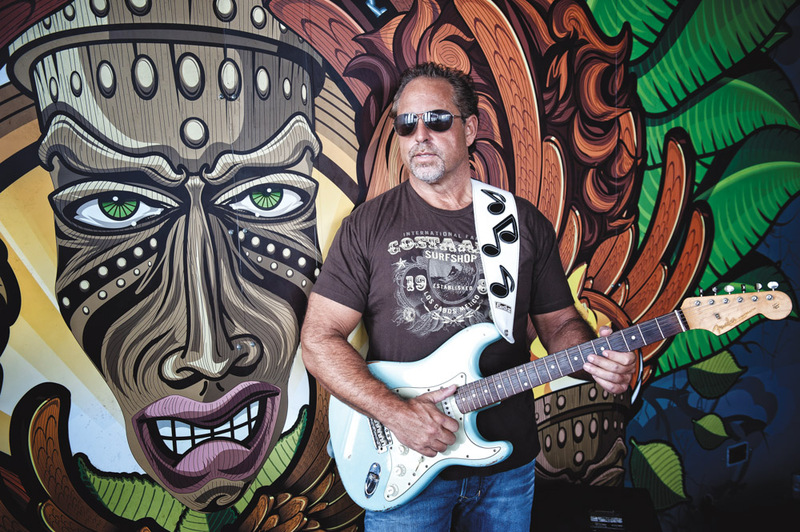 From bodybuilder to biochemist, medical doctor to neurosurgeon, artist and musician to family man, Mark Giovanini, MD, has followed his passions and interests. Reflecting back on how he seems to have come full circle, he noted in a recent interview, “Each area I studied seemed to feed the next, allowing me to build a broad knowledge base. 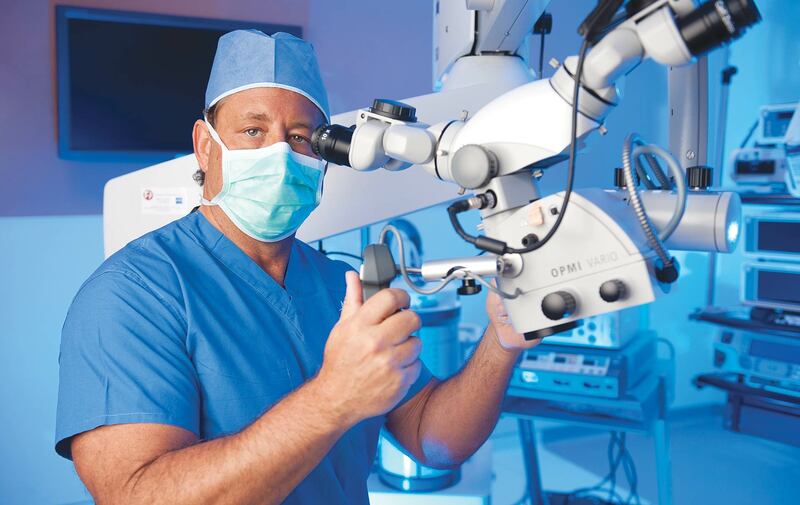 I didn’t set out with a specific plan for my life; rather, I pursued what intrigued me.” Those pursuits have made Dr. Mark Giovanini a leading neurosurgeon in the area of minimally invasive spine (MIS) surgery, and he has realized there are oh so many more paths to follow and dreams to pursue. 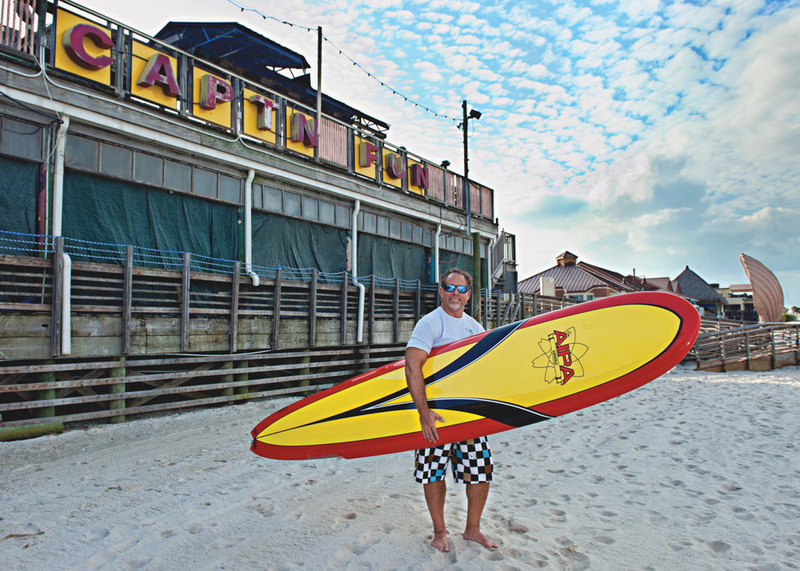 Dr. Mark Giovanini, director of the Andrews Institute Spine Center in Gulf Breeze, Florida, has been living and working in the Pensacola area for the past twelve years helping patients get back into the game of life. Giovanini noted, “Whether you are twenty years old or eighty years old, suffering with a ‘bad back’ can be life altering.” When work, play or simple movement is interrupted, everything comes to screeching halt, and that is when Dr. Giovanini, or Dr. Gio, as his patients know him, is at his best. From bodybuilder to biochemist, medical doctor to neurosurgeon, artist and musician to family man, Mark Giovanini, MD, has followed his passions and interests. A native of Portland, Oregon, Giovanini received his undergraduate degree in biochemistry at the University of Oregon. He then received a fellowship from the American Heart Association to do basic science research at Oregon Health Sciences University. At the completion of his research, he attended medical school at Oregon Health Sciences University, where he received his MD. Continuing his medical training, Giovanini completed his neurosurgical training at Shands at the University of Florida. He studied under premier neurosurgeons Dr. Albert Rhoton, Dr. Arthur Day, and Dr. Richard Fessler. While at Shands, Giovanini developed research models for spinal cord injury that eventually led to the first spinal cord transplant in humans. He published several articles on spinal cord injury and neural transplantation with Dr. Doug Anderson, chief of the neuroscience department at the University of Florida. Minimally invasive spine (MIS) surgery quickly became the primary focus of Giovanini’s practice at Andrews Institute in Gulf Breeze, Florida. Throughout his practice, he has continually promoted and helped develop many aspects of MIS. He has been a consultant for many of the major players in the industry teaching MIS techniques both to neurosurgeons and orthopedic surgeons around the world. Dr. Giovanini’s skills and years of experience have been crucial in helping Andrews Institute become one of the top facilities in the country for outpatient musculoskeletal procedures. Whether it’s my creative outlet or my desire to continually challenge myself, I truly do not know, but I do know that when I see a gemstone in the raw and uncut, my imagination kicks in. “I have always looked at life with an inspired eye,” notes Giovanini. “I see the artistry in the surgery.” It is from this perspective that Giovanini coined the term “NeuroMicroSpine.” With minimal trauma to surrounding tissue and in minimal fashion, this technology has transformed standard open procedures formerly done on inpatients at major hospitals to MIS done on outpatients at the world-class facilities of the Andrews Institute. Someone once said: what good would outward appearance be, if the soul were in hopeless darkness? To strive to keep our bodies fit and healthy is good, but a fit and healthy soul is even better. The Andrews Institute Spine Center provides a comprehensive, interdisciplinary, and integrated team approach for the evaluation and management of disorders of the spine. The center focuses on the conservative treatment of spine disorders afflicting both athlete and nonathlete. Their treatment strategies strive to return individuals to their highest functional level possible. Dr. James Andrews is internationally known and recognized for his scientific and clinical research contributions in knee, shoulder, and elbow injuries, as well as his skill as an orthopedic surgeon. For more information about Andrews Institute for Orthopaedics & Sports Medicine or Andrews Institute Spine Center, please contact the Andrews Institute at 1040 Gulf Breeze Pkwy., Suite 205, Gulf Breeze, Florida, 32561. Dr. Giovanini may be contacted at Andrews Institute at (850) 934-7545 or by e-mail at markgiovanini@yahoo.com.